Apples of Gold Jewelry brings you a beautiful sterling silver sky blue topaz heart-shaped ring that will have you falling in love with the color of the bright blue sky all over again! The AA rated, authentic sky blue topaz gemstone, which has been cut into a heart shape, is set neatly onto a .925 sterling silver ring. The gemstone measures 8mm by 8mm in size, and is the soft blue color of a sky on a sunny day. Definitely a ring to wear for any occasion, this is sure to become a fast favorite! 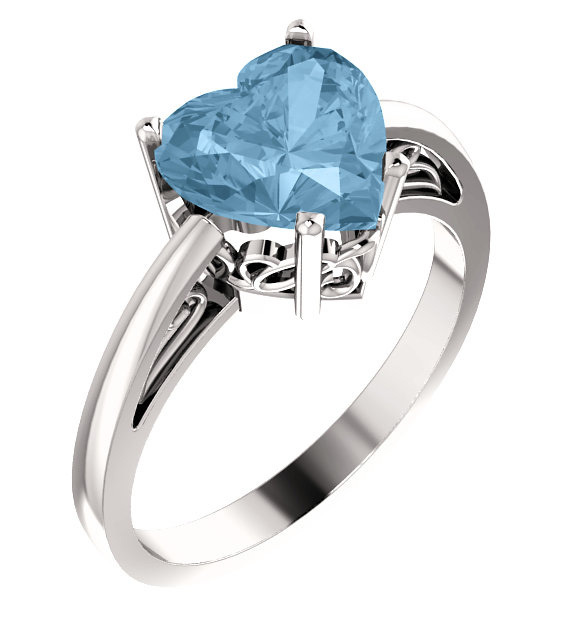 We guarantee our Sterling Silver Sky Blue Topaz Heart-Shaped Ring to be high quality, authentic jewelry, as described above.